A college professor becomes obsessed with a prostitute. My name is Richard Benedict and I am Robins oldest brother. 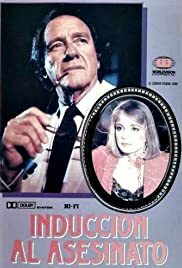 I have been seeking for a copy of this made for TV movie for some time now; if anyone has a copy or knows where I may obtain a copy I would greatly appreciate it; especially since it is such a large part of our family. Thank you very much to all! I have difference of opinions of the way my family was portrayed but this movie and the book " Missing Beauty " are the only pieces left of this event that almost tore our family apart. I am now researching this movie so as to use it as a basis to set the record straight with a book of my own and the remaining members of my family; especially since Mr. Douglas was released after only serving nine years and the body of my sister was never recovered. These facts where left out of the movie and should be re-addressed.